Published by Beswes / Boogie Troid BMI. 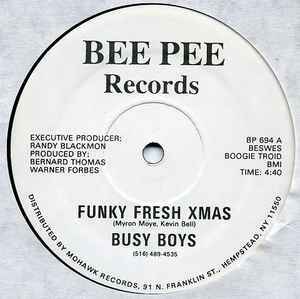 The flow,b-boy production and cuts on this raw gem make it hard to believe it came out in 84! Just try and block out the singing and xmas references and this is killer!